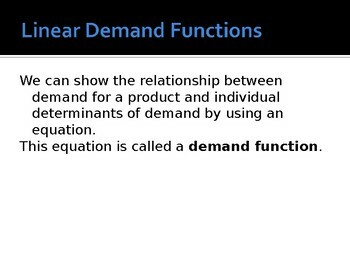 High quality PPTs for the challenging topic of Linear Functions in Economics. 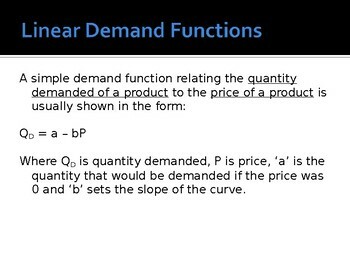 Many Economics teachers struggle with effective delivery of some of the more mathematical aspects of the course. This excellent set of high quality PPTs has been tried, tested and developed over 4 years teaching IB and A Level economics to demanding cohorts of students in various environments. 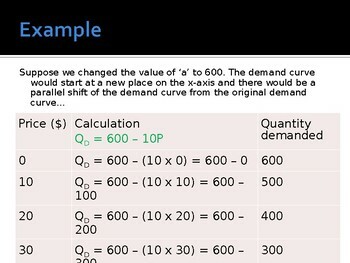 Uses worked examples for an easy-to-deliver, easy-to-understand lesson, and includes appropriate diagrams to demonstrate pivots and shifts in the demand curve when the function changes. 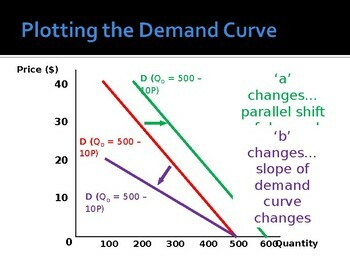 This topic is increasingly being tested on A Level programs and has long been an integral part of Higher Level IB Economics.